Other concerns raised include the use of handcuffs on detainees ‘who appeared upset, or who were moving too slowly, despite there being no signs of any violent behaviour which might have justified the use of such restraints’. The reports also note the lack of training for use of force in ‘small spaces’ (such as aircraft). Both reports are available on the HMIP website, available here. An illegal immigrant slashed his throat as he was being deported from London on a plane. The man is receiving treatment in hospital after the Virgin Atlantic flight from London Gatwick to Kingston, Jamaica, was postponed. The fiancee of a man who was murdered nine days after he was deported to Jamaica said the Home Office ignored warnings his life was under threat. Jane Lowe, from Walsall, said she was disgusted Delroy Edwards, 43, had been returned to his homeland. He had insisted that he would be persecuted by Jamaican gangsters. The Home Office said all asylum claims are considered on their individual merits and if they are unsuccessful, can be appealed. Mr Edwards, the father of Ms Lowe’s two-year-old daughter Taneika, was killed last month in Kingston, Jamaica. He is said to have gone into hiding after being deported and Ms Lowe said the day he was killed was the first time he had left the house. Ms Lowe added: “I have contacted the Home Office… and nobody wants to say anything. “He wasn’t a criminal and I need to know why they moved him so quickly – he knew this would happen and nobody believed him. 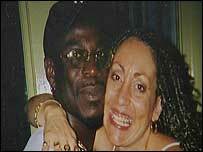 Mr Edwards fled to Britain after being shot in both 1995 and 1998 and seeing his two young daughters murdered. A Home Office spokesman said: “All claims for asylum are considered on their individual merits under the terms of the 1951 UN Convention relating to the Status of Refugees. Why did Joy Gardner die? AN EERIE wail filled the West Indian Centre at Wood Green in north London last Wednesday night. The background muttering from 300 protesters – Trotskyists, local politicians, angry people from the London borough of Haringey – died away. The audience looked around in bewilderment. The Jamaican woman who had sat impassively at the front while the death of Joy Gardner was discussed and condemned by the platform speakers slumped forward. The wail turned to a recognisable sob and realisation dawned: Myrna Simpson was mourning her daughter. There was nothing delicate about her grief. It was an unadorned cry of pain from a woman who had spent the past three days learning more and more details of the events leading to her daughter’s death in hospital last Sunday. On Monday Djeemal Dervish, Joy Gardner’s solicitor, revealed that the 40-year-old had no advance warning that a posse of police and immigration officers would invade her flat early on Wednesday 28 July with orders to deport her and her five-year-old son to Jamaica immediately. The Home Office had deliberately not told her she would have to pack up her possessions within minutes and leave her British family behind, because it feared she would run away. On Tuesday the police admitted their officers had come equipped with a ‘body-belt’ – a leather contraption for pinning the arms which has chains and handcuffs fitted. The belt resembles slave manacles, which, black leaders pointed out, have a certain historical resonance for Jamaicans. Senior sources then confirmed the officers were also carrying adhesive bandages for binding her legs and gagging her, so she could be put unprotesting on the plane to Jamaica. The Home Office pathologist who conducted the official post-mortem examination at the Whittington Hospital, where Joy Gardner had been on a life-support machine, then added that the cause of death was hypoxia – the cutting of oxygen to the brain – not ‘renal failure’ as first reported. This combination of damning facts created official panic. The raid was in Crouch End in the same north London borough as the Broadwater Farm estate where one of the most violent recent disturbances in Britain was triggered by the death of Cynthia Jarrett, another West Indian mother, during a 1985 police investigation. Police, politicians and the near-hysterical local London press and radio were gripped by the fear of a British version of the Rodney King riots in Los Angeles. Charles Wardle, the minister responsible for immigration, said ‘our deportation processes are working as well as they could’ and refused demands for an independent inquiry. But he did extend his sympathy to the family. Paul Condon, Commissioner of the Metropolitan Police, was more astute. He suspended three of the officers involved last Tuesday and said their unit, which carries out arrests for the Home Office, would not be involved in deportations until the various inquiries were over. ‘I want to express my sadness and my profound regret,’ he said. AS SHE rose to speak on Wednesday night, it was clear that expressions of sympathy had not consoled Myrna Simpson. She began slowly and quietly, but gradually the passion and the anger grew. ‘What did they do to my daughter?’ she cried. ‘My nice daughter . . . who didn’t murder anybody. She was in her bed in her flat with a five- year-old kid. They put her on the floor, put tape on her mouth and on her feet. They sat on her stomach and damaged her kidneys and her brain. ‘How can they live with it . . . how can they live with it on their consciences? What will happen to my grandson? What is in his mind after seeing this? They humiliated my daughter. They left her rotting in hospital . . . She was decomposing . . . She had no dignity. Some people in the hall began to cry. Others ignored her appeals for peaceful protest and shouted the police were ‘fascist murderers’ and said they should burn down the local station. But apart from the Simpson family and Bernie Grant, the Labour MP for Tottenham, there was no one in the hall who had known Mrs Gardner while she was alive. For she was not a prominent figure rooted in north London’s black community, just another immigrant trying to keep one step ahead of the Home Office. JOY GARDNER was born in Long Bay, Jamaica, in 1953, when Myrna was 15 years old. This year, in a final appeal to the Home Office for compassionate leave to remain in Britain, she said her parents were not married and her father had abandoned her mother. She never knew him. Myrna married, started a new family and held a succession of jobs. She was last working as a care assistant in an old people’s home. ‘I washed the English people’s knickers, cleaned up their mess and now they do this to my daughter,’ she said. Joy came to Britain for the first time in July 1987, leaving a grown-up daughter in Jamaica. Much has been made by the Home Office and the media of the fact that she did not tell the immigration officers at Heathrow that she was four months pregnant when she arrived. Her entry as a non-EC tourist with permission to stay for up to six months was perfectly legal. But she did not leave when the six months were up and the Home Office lost track of her. 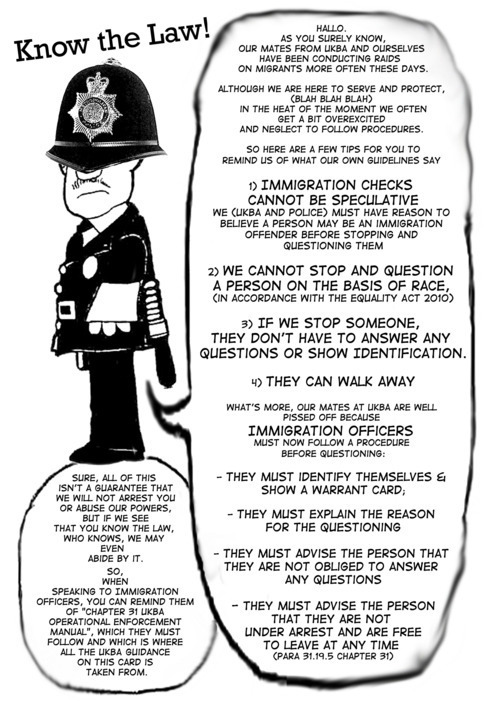 The next its Immigration Department heard was in September 1990, when Joseph Gardner, a clerical worker from Leyton, north London, who was 20 years her senior, wrote to say that he had married Joy five days earlier and that she should now be given permanent residence rights in this country. A month later he withdrew his request and said they had separated. Shortly afterwards, he took out two injunctions against her to stop her coming to his home. Last week he said she had been violent and the marriage had been a failure. To the Home Office, the case was a clear-cut attempt at illegal immigration. Although Myrna Simpson was British, 1981 immigration rule changes meant her adult daughter had no legal right to live here permanently. One official said last week that it seemed to the department that Joy had come as a visitor so that her child could claim to have been born British. The testimony from her husband, interviewed at length by immigration officers, led them to conclude that her five- week marriage was a marriage of convenience made solely for the purpose of getting British citizenship. Between December 1990 and April 1992, the Immigration Department went through all the proper procedures. It told her it intended to deport her. She tried to challenge the decision in the High Court, but the judges rejected the case. An appeal to the Home Office’s own Immigration Appeals Tribunal also failed and a deportation order was served. The Home Office said it booked her on one flight back to Jamaica in the summer of 1992, but she did not show up at the airport. She told the Home Office later she had not received the official letter saying she had to go. The Home Office told her in October 1992 she would have to leave on a second flight. According to the Home Office, she responded to the order by disappearing. To this record, the press last week added her husband’s testimony, which showed Joy Gardner as a dangerous and violent woman. Mr Gardner told the Daily Mail last week: ‘It’s true that she hit me, but I don’t want to go into the details unless you pay me a lot of money.’ A good candidate, therefore, for a dawn raid and instant deportation. In a letter asking for the Home Office to allow her to remain on compassionate grounds, he pointed out that she had no family who could support her in Jamaica but had a mother, a half-sister, a half- brother, three uncles, two aunts and numerous cousins living in Britain. He added that she was studying communications at the City of London Polytechnic and had a five- year-old child who had only ever known London as home. Mr Dervish thought his case had strong compassionate but weak legal arguments. Both failed. At 9.30am on 28 July he received two near-identical letters in one envelope from a Ms C Hanrahan in Room 801 at the Immigration Department’s headquarters. The first, dated 26 July, said arrangements would ‘shortly’ be made to deport mother and child. The second, dated 27 July, said arrangements would ‘now’ be made for expulsion . Mr Dervish decided to talk to his client about the possibility of a court challenge. But his plans were pointless. By the time he read the letters, Mrs Gardner was as good as dead. WHAT happened in Mrs Gardner’s flat in Crouch End, north London, on the morning of 28 July will be the subject of a Police Complaints Authority inquiry and coroner’s inquest. Only the five police officers and one immigration department official, who arrived at her new housing association flat in Topsfield Close without warning, and five-year-old Graham, who is expected to give evidence through social workers, know the full story. What can be said with certainty is that senior police officers were genuinely appalled. Mr Condon, the Metropolitan Police Commissioner, wanted to display the body belt to the media but was overruled by the Police Complaints Authority. It is understood that he described its use as ‘abhorrent’ and alluded to the ‘unusual’ use of tape. His action in suspending three officers, two men and a woman from Scotland Yard’s S01(3) squad, which arrests deportees for the Home Office, was not simply a PR stunt to calm black feelings. The suspended officers’ colleagues claimed that Mrs Gardner had struck and bitten members of the arresting party. Mr Grant and Haringey councillors responded with the obvious question: was it necessary to send in six people with tape, handcuffs and a restraining belt to collect a 40-year-old woman who was merely a visitor who had ‘overstayed’? What is clear is that no one expected an angry public reaction. Crouch End may be geographically close to Broadwater Farm but is socially another world. Its staid, turn- of-the-century houses and largely white, middle-class population are identical to those in moderately prosperous suburbs all over England. The officers went to the flat at 6.30 am, Mrs Simpson said at the meeting. The police, said the raid was between 7am and 8am. Timing could be crucial because Mrs Gardner was not brought to the Whittington Hospital, only two miles away, until 8.45am. Whether there was a delay in getting her to doctors will be a key question for the inquiry and inquest, particularly because the raid was many hours before the flight to Jamaica. Mrs Gardner was not booked to leave Britain until 3pm. Mike Yates, a hospital manager, said that when she arrived at the hospital, Mrs Gardner was ‘having tremendous difficulties breathing’. She was put on a ventilator but never regained consciousness. There were repeated tests until it became clear last Sunday she was brain dead. The hospital contacted the family to discuss turning off the life-support system, but before her relatives could decide what to do, Joy suffered ‘cardiac failure’ and the decision was made for them. 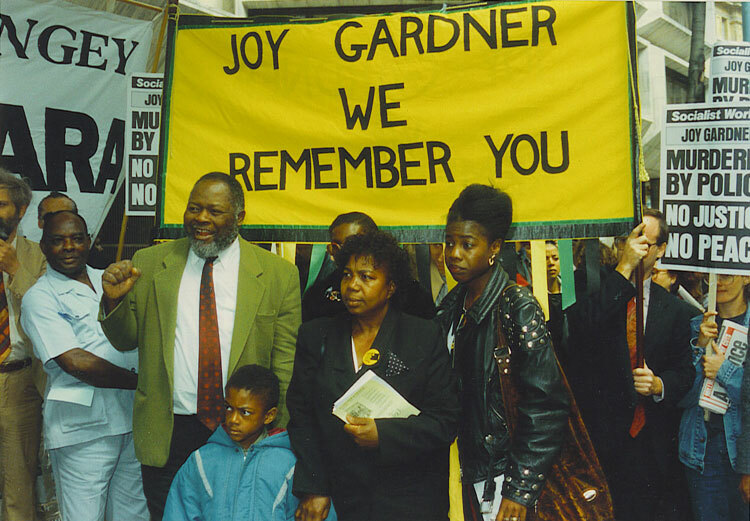 ALL last week the Home Office insisted that Joy Gardner’s death was a police matter. The use of manacles and adhesive tape was an ‘operational matter’ entirely in the police’s hands, a Home Office spokesman said. But critics of the Home Office were not surprised that an immigration case had turned into a national scandal. For years, they said, ministers and civil servants in the Immigration Department have shown what Claude Moraes, the director of the Joint Council for the Welfare of Immigrants, describes as a ‘blase lack of concern for the basic principles of justice and a passionate desire to avoid accountability’. Mr Moreas and others cite a catalogue of examples. In 1988 Home Office ministers abolished MPs’ rights to stop a deportation temporarily by making representations directly to the Home Secretary. In 1991, a systematic campaign was launched against asylum- seekers. Predictions of thousands of refugees arriving from East Europe – which have turned out to be false – were used to justify a strict asylum and immigration Bill, which came into force this year. Kenneth Baker, the then Home Secretary, also proposed taking away the rights of immigrants and asylum-seekers to advice from independent solicitors funded through legal aid. Instead of being able to consult lawyers who had constantly frustrated the department in court, they would be forced to consult the United Kingdom Immigrants’ Advisory Service (UKIAS), an organisation funded by the Home Office and described by Mr Baker as ‘an excellent body’. He was forced to shelve the plan when it emerged that the UKIAS had been found guilty of racial discrimination and was riven by ethnic feuds between Muslims, Hindus and Afro-Caribbeans that had reduced it to near chaos. During the Gulf war, the Immigration Department and MI5 interned about 80 Arab students and intellectuals, claiming they had ‘terrorist links’. Weeks of protest finally forced them tacitly to admit they had made a large mistake and let the detainees go. Amnesty International described it as a classic example of ‘human rights being swept aside in the name of political and military expediency’. For the past two years, the Immigration Department has tried to claim that even the courts could not interfere. Mr Baker was accused of being in contempt of court for deporting a Zairean asylum-seeker in deliberate defiance of a judge’s orders. Instead of apologising, ministers argued that they could not be found guilty of contempt by the courts and fought the case all the way to the House of Lords. On 27 July, the day before Joy Gardner was arrested, the Lords ruled against the Home Office and said that ministers were not above the law. ‘The problem,’ said Larry Grant, chairman of the Immigration Law Practitoners’ Association, ‘is that a culture has been created where ministers and civil servants can sometimes treat asylum-seekers and overstayers as if they were rapists and murders. And she never killed herself. As her young son watched TV. If things are to improve. To make Great Britain great. And how would I escape. Now their children want the truth.